Like, fine with the Mind's Eye thing, I don't think I would run it either, I was just making a joke on removing Mikokoro, Center of the Sea for it since they work well together. Before I go over Scroll Rack, Weathered Wayfarer is my favorite one drop creature in the game. It fixes mana, I run it with Desert of the True, Secluded Steppe, Blasted Landscape, and Drifting Meadow in my mono-white (Hokori, Dust Drinker), and it puts in serious card draw. Consider running a couple more cycling lands, but you don't need them. I always ran Mistveil Plains to bottom the cycling lands, and fetch them out again. Weathered Wayfarer became ": Draw a card." which is really powerful on a two drop that can fetch out Kor Haven, Maze of Ith, Buried Ruin, Inventors' Fair, Sequestered Stash, Inkmoth Nexus, etc. Now onto the Scroll Rack point. Land Tax is a combo, yes, but Weathered Wayfarer is too. So is Sword of the Animist, so is Stonehewer Giant, occasionally Eternal Dragon is. And that's not including constant shuffling effects, think of Steelshaper's Gift, Open the Armory, Tithe, Enlightened Tutor, Knight of the White Orchid, Stoneforge Mystic, Recruiter of the Guard, Thalia's Lancers, Oblation can be (I guess Path to Exile technically could be), Field of Ruin, Expedition Map, Inventors' Fair, Myriad Landscape, and all of the other effects you could run if you wanted two, like the good fetches, Arid Mesa, Windswept Heath, Flooded Strand, and Marsh Flats. I would lose Jayemdae TomeAnd Blasted Landscape there's just better draw that you can use. As I read you put this is your first EDH deck so do you know that Arcum is one of the competitive EDH decks. A lot of people run Zero Drop artifact creatures like Phyrexian Walker and the like. Using your Commander's ability to fetch Paradox Engine, then cast a second zero drop creature allowing you to untap your commander and use the Ability of your commander again 4 Citanul Flute. which is used to go get more zero drop creatures which untappd your commander letting you to sacrifice the zero drop creatures toGo get Basalt Monolith and Rings of Brighthearth. Then make infinite Mana at this point and with the flute on the field you can just pull out any creature in your deck. But most people just go get Walking Ballista. Then play it for an insane amount of Mana and after it hits the field remove 1/1 counters to deal damage directly to their opponents. I like the super budget, but still effective deck. I'd immediately add Drownyard Temple, which you can sacrifice to Gitrog and then pay 3 to get it back. Other suggestions for lands would be to add all of the black/green/colorless cycle lands (i.e. Polluted Mire, Slippery Karst, Tranquil Thicket, Barren Moor, Ash Barrens, Blasted Landscape, Desert of the Indomitable, and Desert of the Glorified. 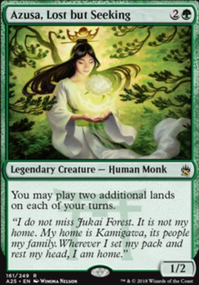 I'd also consider any of the lands that either sacrifice to get you more mana or lands Evolving Wilds/Jund Panorama None of them are more than $0.20 or so on TCG Player, and are super available. There are way more than this, but these are the ones you're most likely to find for cheap, and avoids fetch lands. I won't tell you how to build your deck, but this is definitely a way to add some extra card draw and advantage to your deck. I know it's been over a week, but I'm glad the suggestions were helpful! Why not a potentially excessive amount of them?! Somehow, all of the cycle lands completely slipped my mind before. In a deck designed to draw as many cards as possible, you'd likely want all of the lands that can turn themselves into cards. Blasted Landscape, Forgotten Cave, Lonely Sandbar, Remote Isle, Smoldering Crater, and the new ones coming out along with The Locust God in the new set, Desert of the Fervent and Desert of the Mindful. Mikokoro, Center of the Sea and Geier Reach Sanitarium Could also be decent. What's also great is the opportunity to use Favorable Winds and Gravitational Shift. Oh, and WHEELS! Don't even get me started on wheel effects! Dragon Mage, Forgotten Creation, Magus of the Wheel, Fateful Showdown, Incendiary Command, Collective Defiance, Reforge the Soul, Runehorn Hellkite, Wheel of Fate, Memory Jar, Magus of the Jar... I can't think of any more. Alhammarret's Archive doubles your draws, and Obstinate Familiar can be a potential backup plan if something happens to your laboratory maniac, just so you can't deck yourself. Some other things to consider are Arcanis the Omnipotent, Blue Sun's Zenith, Chasm Skulker, Jori En, Ruin Diver, Mercurial Chemister, Invoke the Firemind, Temporal Cascade, and Sphinx's Tutelage. A nice way to take advantage of your swarm's sheer size is to use Breath of Fury, which can provide infinite combat phases when paired with Bident of Thassa, Coastal Piracy, or Windreader Sphinx, but it's really just good on its own.. If you can't tell, I've been thinking about building this deck since Locust God was spoiled. Darkblast, Stinkweed Imp and Golgari Thug might prove fine cards to dredge with, as Gitrog loves to dredge cards (they mill into lands, drawing more cards). With the dredge plan, reanimation effects become way stronger especially with your creature base. Animate Dead, Dance of the Dead, Necromancy etc. will prove to be very powerful effects when you can reanimate a Sidisi, Undead Vizier or an Avenger of Zendikar. 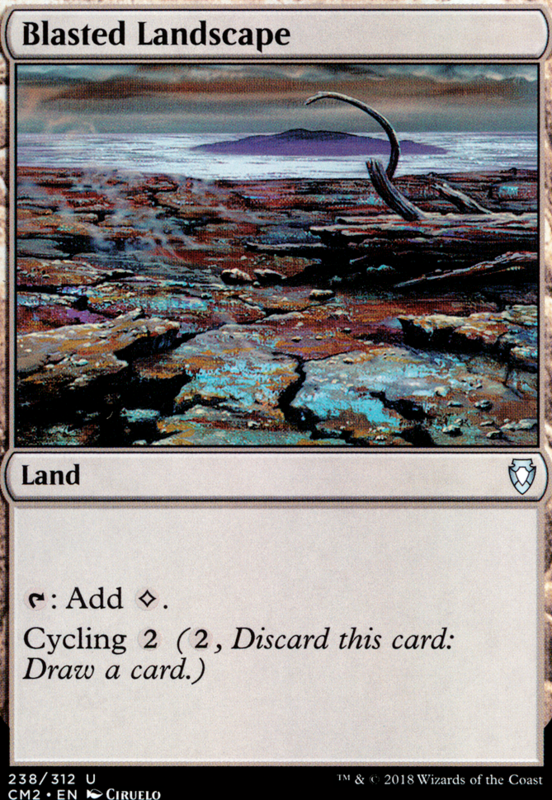 Also, try getting all the cycling lands you can find (Polluted Mire, Barren Moor, Blasted Landscape etc. ), they have amazing synergy with Gitrog and Life from the Loam. If you want to ramp faster into frog, additional 1-mana elves like Elvish Mystic, Elves of Deep Shadow and Fyndhorn Elves are all good turn 1 rampers. Also, cheap mana rocks like Mind Stone, Fellwar Stone and even cards like Fractured Powerstone will make it way easier to land Gitrog early. Try not to play rocks that cost more than 2 mana though, as they are usually played after getting Gitrog in the field when usually lands are what you wanna play to ramp up. 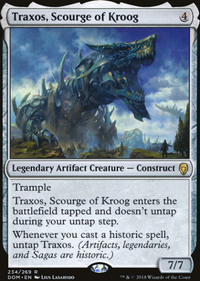 And of course, if you ever want to build around your Dakmor Salvage combo, any Eldrazi that shuffles itself and the graveyard into your library (like Kozilek, Butcher of Truth) work to give you infinite mana with something like Skirge Familiar. For symmetrical life drain, you can use either Exsanguinate or Faith of the Devoted from the new set. For some less cutthroat win conditions, Ob Nixilis, the Fallen does work as a player killer when you cast Splendid Reclamation with your huge graveyard. 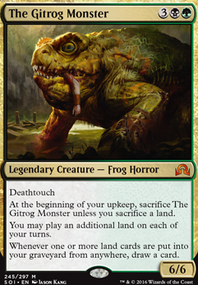 Also, I guarantee you that Gitrog can keep up with his land sacrificing easily, even if you cut 20 lands from your deck straight out. This is due to him drawing you tons of cards, and of course due to the land recursion you already have in the deck. So if you ever feel like needing more slots for spells, you can very safely cut lands for more card slots with your current land count. Just a couple of small tips, hopefully they are of some use. Cheers!